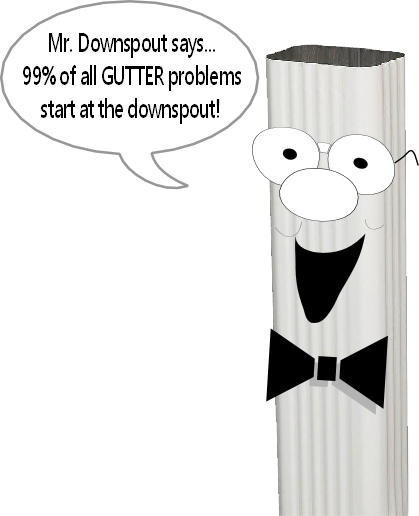 "The Home of Mr. Downspout"
Provide owner with inspection notes and before/after digital photos. Before & After Photos Prove We Did the Job Right! We know you trust NickRivers to do the right thing but just to keep everyone honest, we verify the satisfactory completion of every job with digital photos. 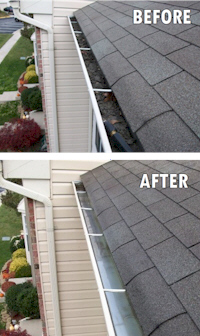 This way you know what kind of condition your gutters were in before we came and how they looked once we finished. This way you and NickRivers are better able to gauge an appropriate date for a follow up appointment. All Nick Rivers service technicians are trained and guided by our unmatched quality control standards. Document in Writing and Photographically. Leave Property in Condition Found. No Mess. No Hassles.